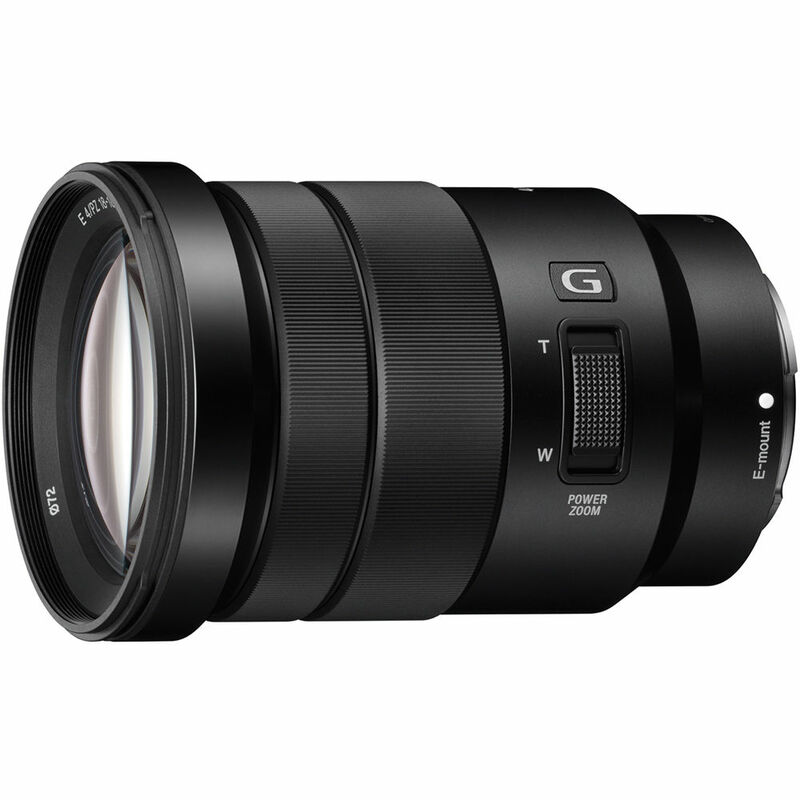 Get up close and personal with the 1:1 magnification ratio of the full-frame compatible FE 90mm f/2.8 Macro G OSS Lens for Sony's E-Mount mirror-less cameras. 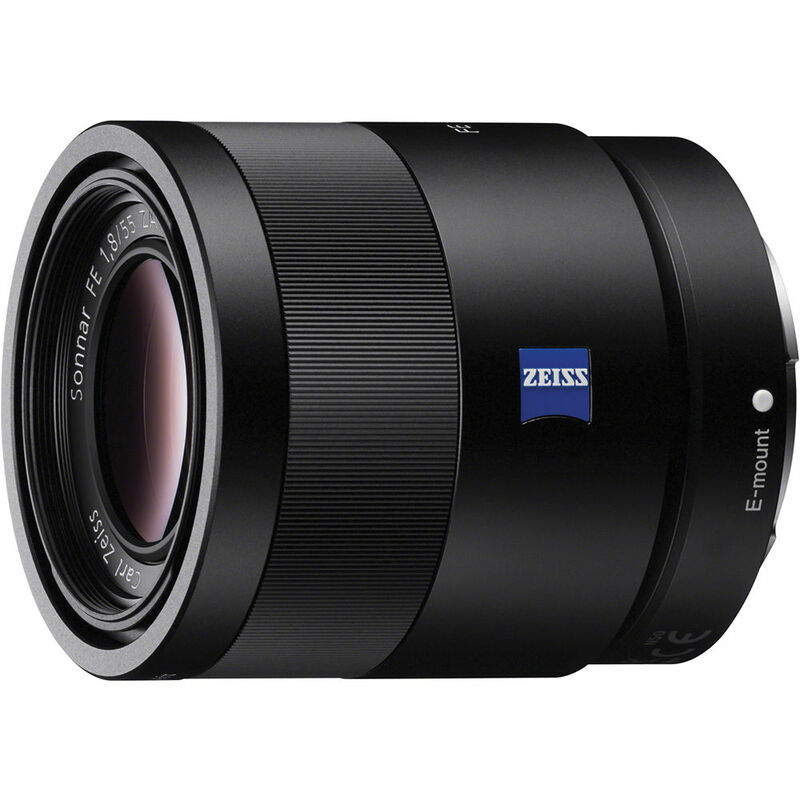 Optimised for macro shooting, this medium telephoto lens utilises Sony's latest lens technology. 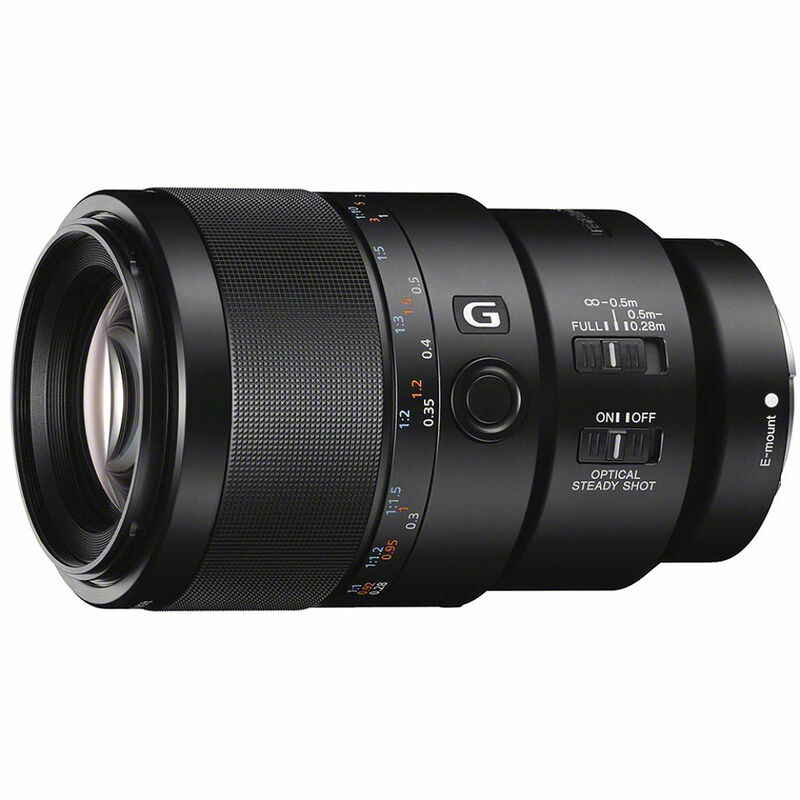 Get up close and personal with the 1:1 magnification ratio of the full-frame compatible FE 90mm f/2.8 Macro G OSS Lens for Sony’sE-Mount mirrorless cameras. Optimised for macro shooting, this medium telephoto lens utilises an aspherical element along with extra-low dispersion and super extra-low dispersion glass in order to create sharp imagery with minimal aberration. Also, it has a Nano AR Coating that suppresses reflections and allows for efficient light transmission for clear photographs. Its maximum aperture of f/2.8 is effective when shooting in low light and allows for shallow depth-of-field focus. An internal focus system in which only the middle optical groups move when focusing provides fast autofocus action and a short minimum focus distance of 11″. Also, the lens does not extend when focusing and the front end does not rotate. The Direct Drive Super Sonic Wave AF motor employs piezoelectric elements oscillating at ultrasonic frequencies to drive the focus lens with accuracy and near-silence. The focus ring slides back and forth to select manual or auto focus and with a focus hold button and focus limiter switch, the lens offers precise control of where you place focus. An optical image stabilisation system uses gyro sensors to detect camera movement and quiet linear motors to shift the stabilisation lens for blur control that is very helpful when shooting macro and/or in low light. Nine circular aperture blades create a unique diaphragm design that is almost perfectly circular throughout its aperture range and thus helps to create pleasing out-of-focus highlights. Finally, a handsome and sturdy build with a dust and moisture resistant design contributes to the overall quality and durability of this fine optic. Only the middle groups of the optical system move to achieve focus, so the overall length of the lens does not change. Other important benefits include fast autofocus and a short minimum focusing distance. Also, the filter thread at the front of the lens does not rotate, which is convenient if you’re using a polarising filter. Once you’ve adjusted focus to where you want it, pressing this button on the lens barrel will keep the lens locked to that focusing distance. The preview function can also be assigned to this button through the camera’s custom settings. This function allows you to set a limit on the focusing range which can save you time during AF operation as the lens will not ‘hunt’ through the entire focusing range. 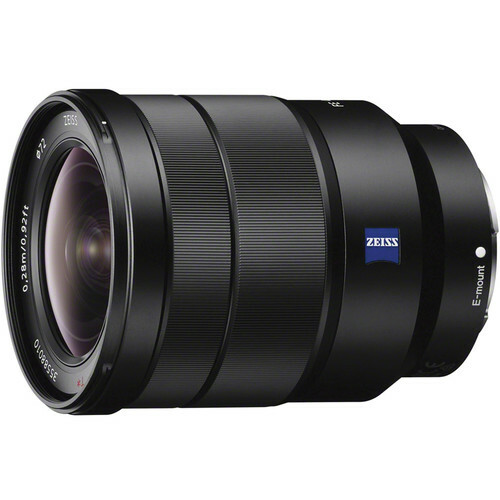 On this macro lens, three ranges are supported: Full, infinity to 19.7″ and 11″ to 19.7″. Quiet, precise DDSSM focus drive employs piezoelectric elements oscillating at ultrasonic frequencies to drive the focus lens groups. In this case two floating focus groups are driven by independent DDSSM systems for precision positioning of the relatively heavy lenses required for macro photography. The system is remarkably quiet, making it ideal for animal and insect photography, as well as for video recording. It also improves the precision of “focus wobble” employed to achieve optimum focus when shooting movies. Extra-low Dispersion and Super Extra-low Dispersion glass elements reduce chromatic aberration for sharp, color-accurate images. Effectively suppress reflections that can cause flare and ghosting with Sony’s original Nano AR Coating technology. This nano-structure allows accurate light transmission, contributing to high-quality images, even more so than lenses with coatings that use an irregular nano-structure. The reflection suppression characteristic of the Nano AR Coating is superior to conventional anti-reflective coatings, providing a notable improvement in clarity, contrast, and overall image quality. When changing your aperture to defocus the background, the light sources appear blurred. This ‘bokeh’ effect of the blurred background can be enhanced with circular aperture blades used in this lens. Its unique design keeps the aperture almost perfectly circular from its wide-open setting to when it is closed by 2 stops. Smoother, more natural defocusing can be obtained as a result. 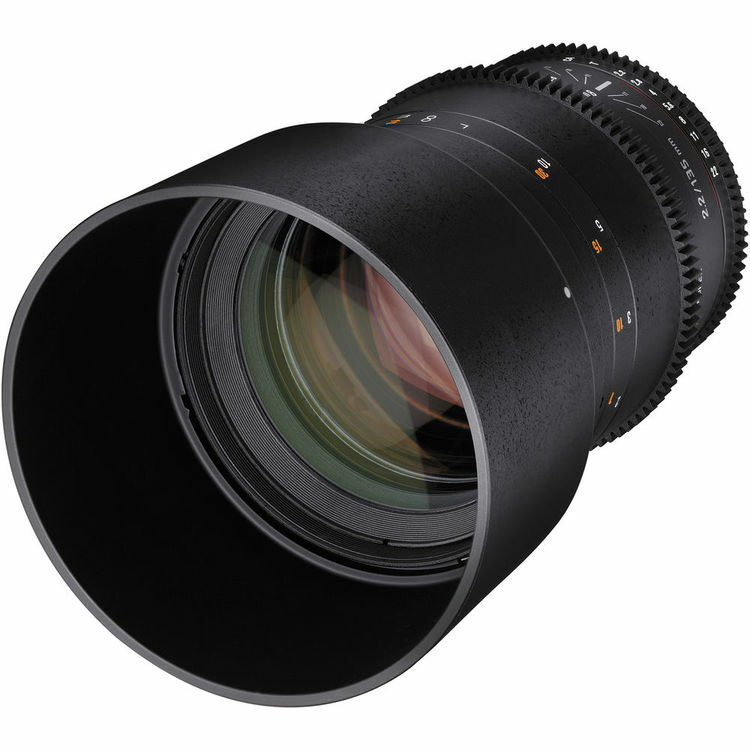 A solid and handsome design is complemented with dust and moisture resistant sealing enabling this lens to be used in the field as well as in-studio.